Supply volumes in the liquefied natural gas industry increased for a fifth consecutive year and were mostly driven by new production from Australia, the United States and Russia, though some existing exporters also boosted output. 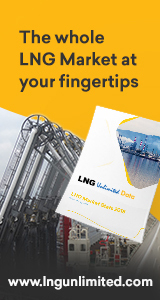 There are 16 ports offering bunkering in Europe for the LNG fuel sector and the number is likely to rise steadily as new ports add services in the coming few years. The growth of LNG-powered shipping sector is at a new highs and orders for LNG carriers that deliver the fuel are also rising at South Korean shipyards. With the rise in the use of LNG as a maritime fuel, the shipping industry requires new cryogenic storage solutions which are both compact and easy to install on vessels.